So, my hubby and I love our Pancake Saturdays! It has become somewhat of a tradition in our household and it doesn’t feel like the weekend without them. Here is one of my favorite pancake recipes. I use it ALL the time and just alter the toppings depending on the flavor. 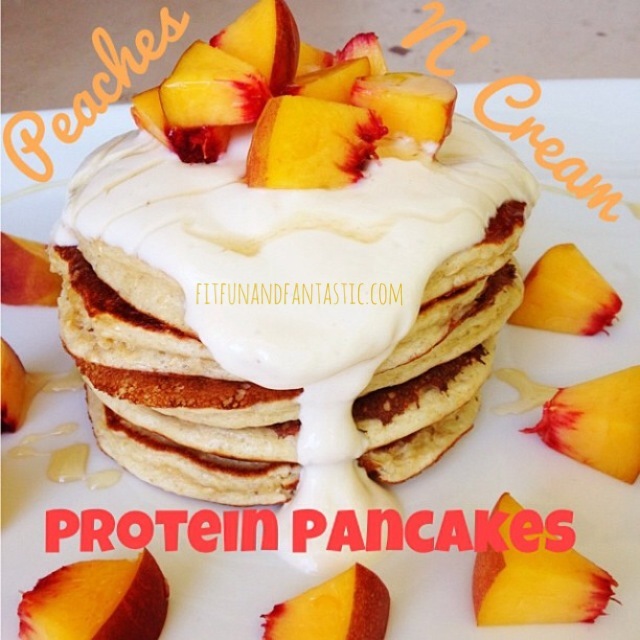 The 2 versions I am posting are: Peaches N’ Cream and Banana Pancakes! NOM! The main way I change the flavor is by changing the protein powder. 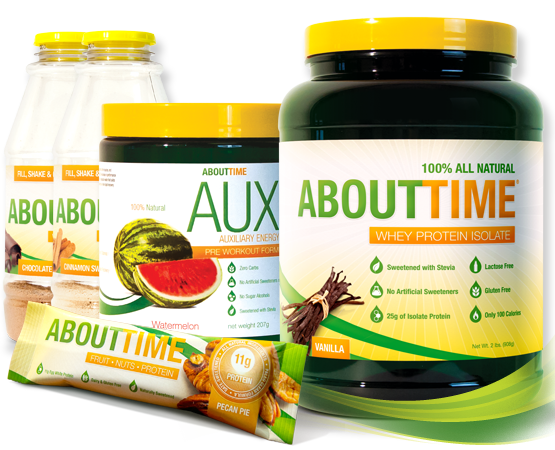 My favorite protein powder brand is About Time. Why is it my favorite? Not only is it all-natural which I LOVE, but I have tried other brands that are all-natural that have a horrible chalky taste and this brand does not! You can order it on tryabouttime.com use my 25% DISCOUNT CODE: FANTASTICALLYFIT to SAVE on any order. They also have samples you can order which is a great way to try out the flavors before committing to a big tub. Okay back to the pancakes! Blend all ingredients together until smooth, except the bananas. Top with the sauce and then the chopped bananas. On a griddle or pan sprayed with non-stick spray set to Low/Medium heat cook pancakes using ¼ cup of batter per pancake. Flip halfway. Blend greek yogurt, almond milk, and vanilla extract until smooth. Blend all ingredients together until smooth, except the bananas. Top with the sauce and then the chopped bananas. 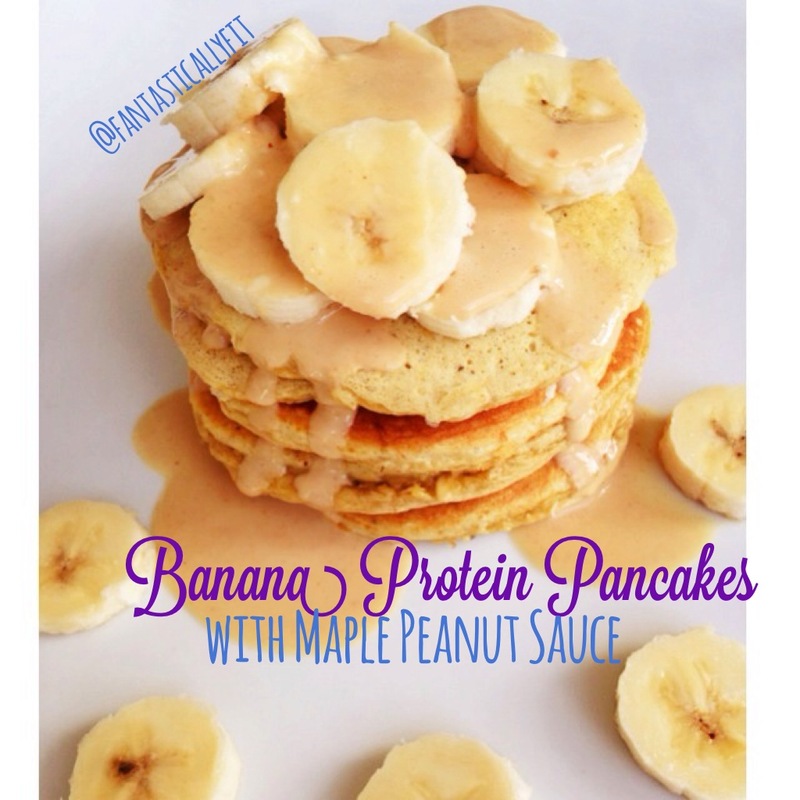 6 Responses to "Protein Pancakes- 2 Ways"
In many of your posts you use oats. Are they dry oats or cooked? About time is not making peaches and cream flavor any longer. What do you recommend in it’s place?